Businesses today have no time when it comes to creating a website and putting in the right effort to rank in local search. It is perfectly normal since you all know that cost of retaining a customer is way cheaper than acquiring a new one. Similarly a business would rather pay for a lead that comes his/her way that putting in upfront cost for building a lead generation website or an engine. This is also normal, and I understand that the business owner is doing this to put food on the table on time. But this will no longer be the case thanks to “Automatic-SEO”. What? How? Why? And Really? “What is this new attribute?”. Later I started thinking about “How is it possible, did anyone con Google?”. The next day I thought “Why would anyone come up with this, to con people?”, and my final thought “Really, can someone pull this off?”. Well, these were my thoughts, but I started getting to the bottom of this. As an SEO enthusiast, I went onto Google Trends to see how this term “Automatic-SEO” was doing. Then I saw search trends to see if this term is popular. I found on an average of 130 people looking for terms such as automatic SEO, and auto SEO. The search results show websites that take about how to automate seo, tools to automate seo, and more. None of the results were talking about a tool or software that actually does automatic-seo. What is Automatic-SEO as per Google’s top search results? As soon as you type automatic SEO in Google’s search bar you will see people ranking for this term. The first result is of an agency that claims to rank you on the first position of Google search results, else you will get your money back. Then you will find SAAS tools saying that they can make your website super fast thereby pushing your position on Google to No.1 and so on. Forbes has written an article saying SEO cannot be automated, and this I feel is the most relevant one. There is another website that talks about Auto SEO as something related to using tools for keyword analysis, and acquiring backlinks automatically (but here also there is a tool involved and some manual effort). This is what Google thinks when people search for automatic SEO. What does Automatic-SEO actually mean? The word automatic means, things should happen without any manual or in this case human intervention. Meaning SEO should happen automatically without any SEO inputs from a user. A user should only maintain the website and add relevant content. The on-page SEO, off-page SEO, and the hygiene of SEO should be taken care of automatically. You can go ahead and invest in tools like SemRush, Ahrefs, or even Hoth to take care of your SEO, though they don’t perform Automatic SEO all the way. 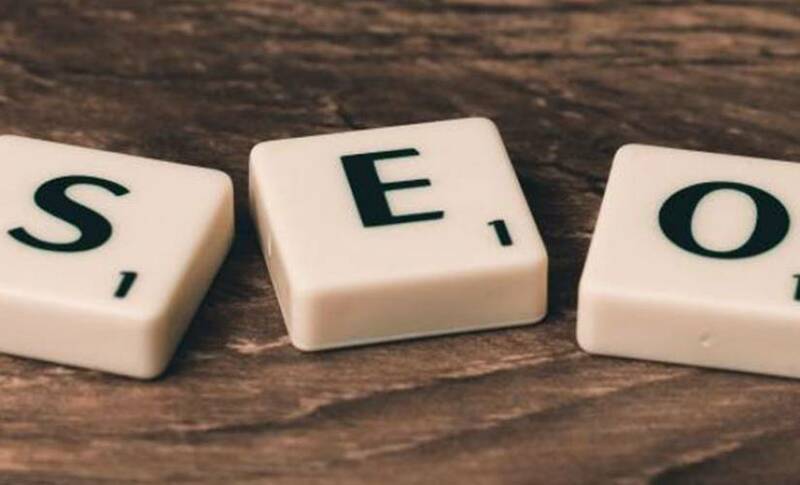 Here in this article, we will help you to understand Automatic SEO better and then,we will be first talking about how to do Automatic-SEO, and next, we will be talking about all the tools that are required to make this happen. The first essential ingredient to this formula is cornerstone content. When anyone hears the term cornerstone content, the first thing that comes to their mind is Yoast SEO’s blog. Well, that is exactly what it is, but there is more to it. Cornerstone content is your flagship content, that talks in detail about a particular subject. Example if I want to create a cornerstone content about digital marketing I will write about SEO, SMM, Social, Email, Paid, Affiliates, Referrals, Content Marketing, and more. For instance, Neil Patel has written a blog on “Topic” which is around 10k words. If I want to beat his post, I would need to write a post that is more than his, along with supporting blogs that link to my cornerstone content. To beat his post I need to write more than him, and I need to have supporting blogs that link to my cornerstone content. 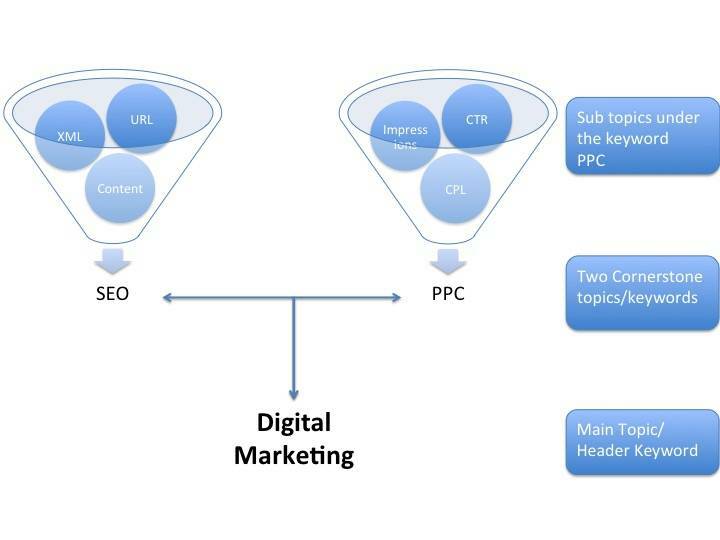 Below is the structure of a cornerstone content if I want to rank for Digital Marketing. You can also refer to my blog on how to cornerstone content for SEO. However there is a considerably difference in pillar content and cornerstone content. Cornerstone content is a blog that has information updated in it on a regular basis. 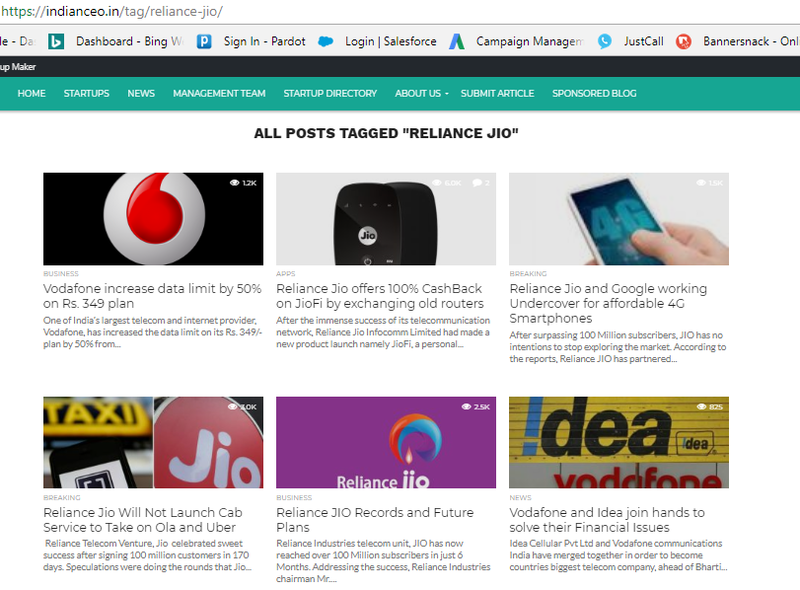 While a pillar content is a blog that has content which is written only once. Here is where everyone gets confused between the two. To give you an example I write a blog on Google’s algorithm changing with time. I start writing about how Google’s algorithm evolved from 98 till date. But if someone reads the blog in 2020 and find information regarding the algorithm only till 2018 then its a pillar stone content. While on the other hand if the same blog has information related to Google algorithm till 2020, then it’s a cornerstone content. Cornerstone content is fresh and up to date. This content will get backlinks for its contents weigh, history, and up to date information. While a pillar content links for having content that can be used for referring to the past. 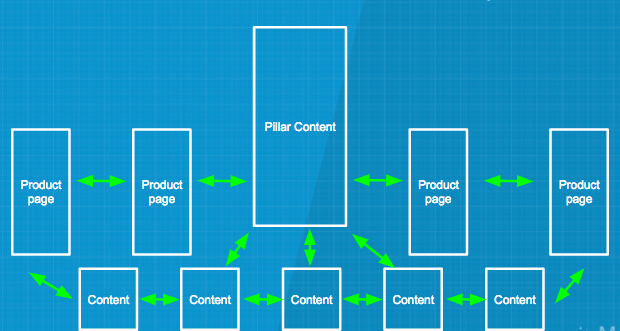 Below is how a pillar content/cornerstone content is structured. MarketMuse explains it the best, and I have personally seen results of Pillar content pieces vs a regular long form blog. We are not going off topic, i.e. how to kick start automatic SEO, all these important aspects are essential for making the perfect recipe, Sit tight. How to setup cornerstone content that gets indexed in Google and Bing? Traditional Method – Write a long blog and get links from other small blogs and landing pages from your website and other websites. Every three months keep adding new content in it (specify the date every time you add content to the page) and keep adding fresh external and internal links to this page. Out of the box approach – Select a keyword and write lots of content pieces around it. Example – consider a keyword digital marketing. Now write small pieces of content around semantic keywords of digital marketing. 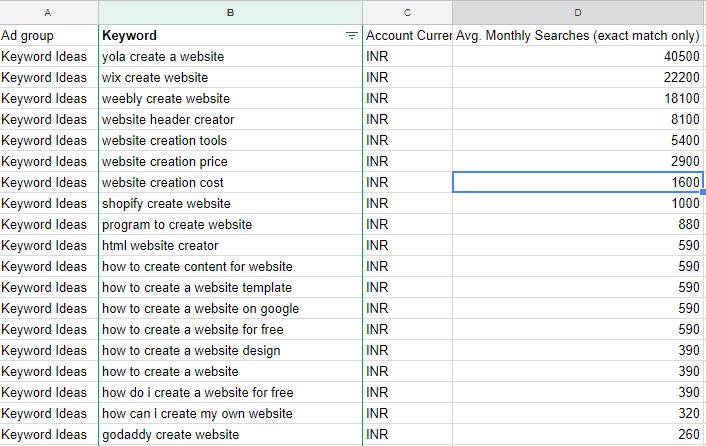 Keep doing this every day and make sure the body of every small content piece contains the keyword Digital Marketing (Since this is the word you want to rank for). Now in every small content piece make sure you add the meta tag “Digital Marketing”. The meta tags on all the small content pieces should be clickable, i.e. it should redirect a user to a search page, which looks something like this. The page looks thin said one of my colleague at my current organization. 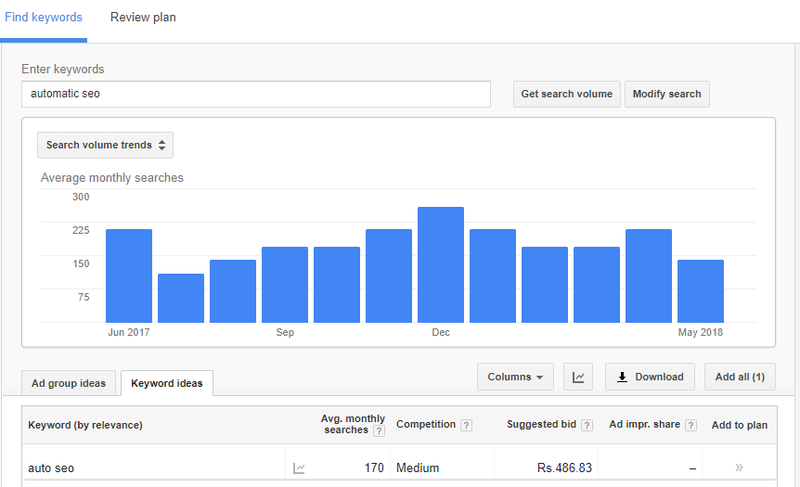 I then check the word count and the keyword it ranks to show that the page actually got indexed in Google. 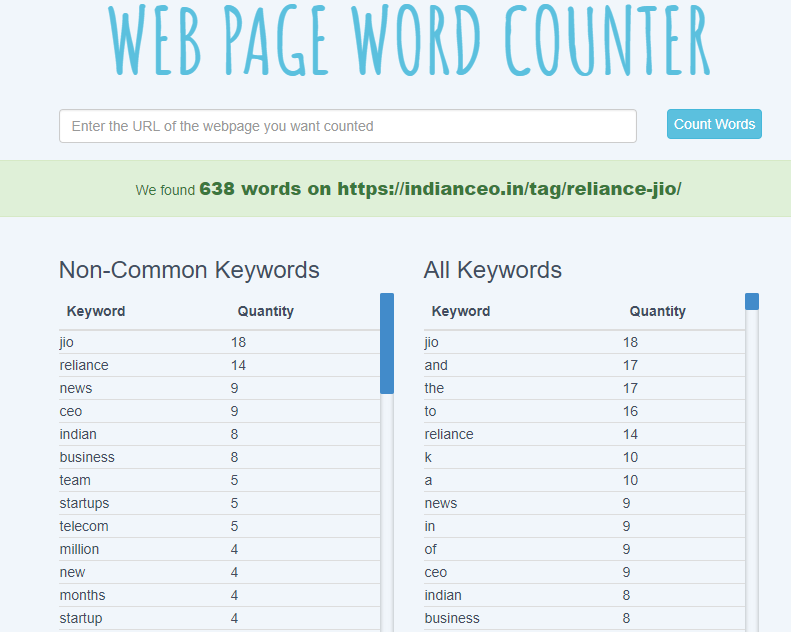 In fact, if you check Indianceo, the most traffic pulling pages are important articles that are cornerstone pages. Here is a screenshot of SEMRUSH pulling up data on pages that pull in traffic. This method looks simple, but there is a one-time effort that goes into it. We will get into the basic in some time. Before that, we need to know what are the important factors to keep in mind before creating cornerstone content pieces. For Automatic SEO to kick off please use the out of the box approach only. The traditional approach is not a scalable solution since internal linking will be a painful process. From ages, Digital Marketing experts like Neil Patel talk about keywords, short-tail keywords, long tail keywords, LSIs etc. All of them did play a vital role in ranking for SEO, but that again is a traditional method. The method we want to use will require keywords, but they should sound like topics, but look like keywords. Confused? That’s ok, this is the digital age and SEO algorithms are evolving with time. Google latest algorithm Penguin understands user behaviour which means it no longer works on keywords. Example – I am talking about automatic SEO right now, but if you search for “Automatic-SEO” in Google’s keyword planner it shows results for “auto seo”. Google understand that people searching for automatic SEO or auto SEO are searching for the same content. This means you no longer need to worry about fitting in the exact keyword into the title of the page and the text. You can simply put an appropriate keyword and let Google do the rest. I wanted to rank for Locksmith SEO through a blog post since it has a unique search traffic of 170 per month from USA only. So I wrote an article titled – 10 Quick Tips On SEO For Locksmiths. The primary keyword in this article is SEO For Locksmith. SEO for Locksmith keyword has no volume but when I wrote this article, within posting of it Google is getting the article impression for the keyword Locksmith SEO. Now how can Google expect me to write a topic on “Yola create my website”. This is not a valid subtopic/ keyword to consider. In fact, if I used this to write my content, then I’m sure because of Grammar (If my title is “Don’t use Yola create my website in 2018”), Google will penalize me for keyword stuffing. Instead, if I write “I would not use Yola for creating my website in 2018”, Google will understand that I’m trying to rank for “Yalo create my website”. For Automatic SEO to work, you need to start writing for topics, rather than writing for keywords. How should your SEO Strategy look like if your using Automatic-SEO ? Keywords – First things first are your keyword research or topic research. You first need to choose a keyword or a topic that has less competition and decent search volume. I would typically select any relevant topic that has keyword difficulty of medium and at least a search volume of 200. 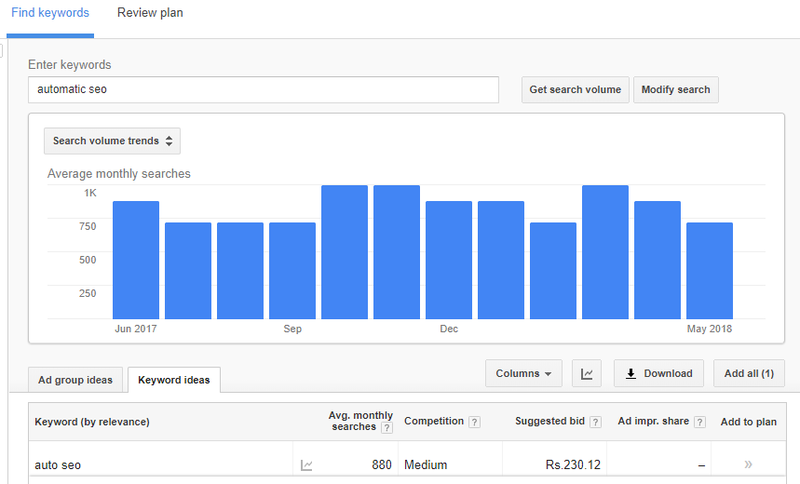 Use tools like Semrush or Ahrefs or Google Keyword Planner to pull out related topics. In this case I considered a topic called ‘Rank higher in Google”, and I place this term in SemRush. You will see a list of topics in a phrase and related tabs. These are our topics we need to write to rank for the term “Rank Higher in Google”. The title can be according to the subtopics, but the body of the blog should have the term “Rank higher in Google”, so is the meta tag. Internal Linking – For internal links, you don’t need to worry. You will be adding the meta tag “Rank higher in Google” in all the short content pieces, which in turn will create a search page. This search page will be linked by all the short content pages along with content. So this search page will show the latest content. This means the search pages will act as a corner stoning content page. External Linking – The search page will rank faster in Google provided you write more short content pieces at a regular time. It will rank higher in Google, and it is prone to attract backlinks from other domains. Submitting the new links – Google will have no idea of your newly built search page or cornerstone content page. You have to submit URLs to Google through Search Console manually, or publicly available “Submit URL to Google” link. If you are writing 2-3 content pieces every day, it doesn’t make sense to submit all urls to Google every single day. Instead, just submit the search page URL. If you have more than one search page or cornerstone content page you need to simple submit your sitemap, and it will be taken care of. This is how your strategy should look like. Don’t get too excited; this is not Automatic SEO yet. You need to know more about this to executive this yourself. This page is a link of meta tag factor. Any user who looks at this will run away. This will signal Google that this page UX is not fit for user experience. Your search page should have three elements for it to get index. Website theme – the search page should have the same theme as the whole website. Which means it should follow the same font, same footer, same header, and the same menu bar. Title- Title of the search page should have the search term, and the results should have content related to the search terms. Timeline- Your search page shows results related to the search term, but every result should have a date and title, else you will spook Google and the user reading it. Date added to the result will signal Google that the page has a regular content being updated. Bonus Tip – Search pages are the best place to test your CRO techniques. You will receive your highest subscribers in these pages. 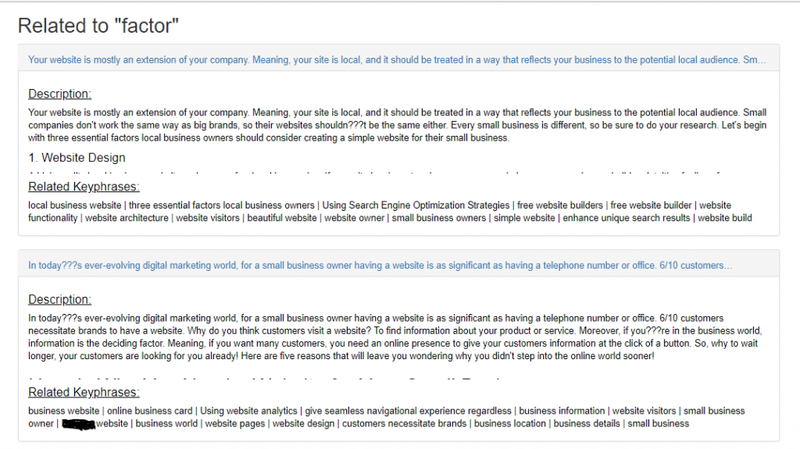 Here is an example of a well structured search page or cornerstone content page. With this you know all the elements you need for creating a cornerstone page and how to kick off automatic SEO. Now let’s talk about what exactly is automatic SEO. This is a process where you simply write content related to the keywords you want to rank for, and the website makes sure you rank for it. This is purely on-page SEO that helps you rank while attracting backlinks. Thanks to Google New Penguin algorithm, this will work for sure. Google’s new algorithm will do permutation and combination for every page that has updated content. This means your Cornerstone content page will be tried against multiple keywords everytime new content is added to it. This way you can rank faster than regular SEO. All looks good, but the main challenge you will face is how to implement this on your new or existing website. Now we will talk about tools that you need to purchase for this model to work currently. Pick a WordPress theme or a custom theme that comes with meta tags defined at the bottom of every page. The meta tags should be clickable, and it should lead to a search page that looks part of the website. I would suggest looking at blogging templates. If you don’t like this sort of a theme because you are a commercial company, dont worry. Just launch this theme for your blog in a sub-domain, and you will be fine. This is what Hubspot did; they launched a content website template for their blog @ a sub-domain (blog.hubspot.com). You can also hire a developer to tweak your existing website template to give you this sort of a theme. But it might cost you a bomb. 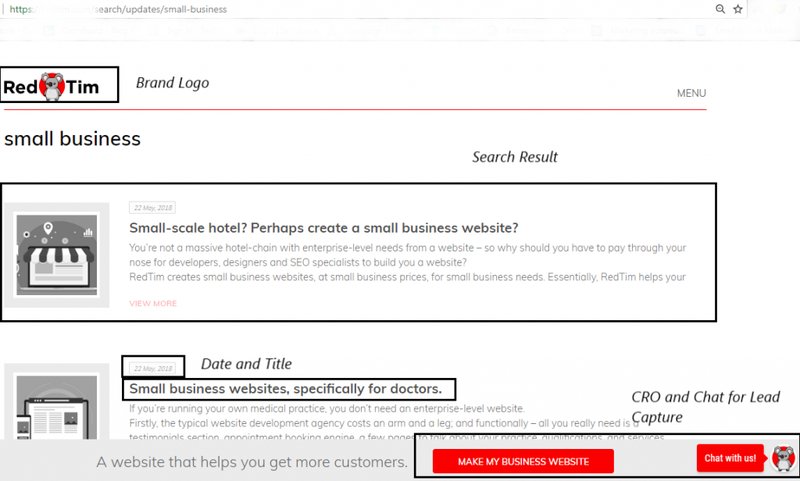 Purchase a keyword suggestion tool such as SemRush or Ahref, else use a free tool like keywordstool.io. This should help you with the kind of topics you need to write for. There is no point in doing this activity if your website does not have a sitemap that Google can use for crawling your website. Invest in sitemap generator and make sure it runs every time you add content onto your website. This is a free tool, subscribe to this and submit your sitemap to Google every time you add content. This will show you your ranking in Google for a specific keyword and more. Does this process look time-consuming? it is slow and painful, but it is a one time effort only. The results of this activity will reap you benefits you never imagined. I did this for my website indianceo.in and saw benefits that I could not believe. In fact I added an extra 100K users to my website only through this. There is not a single tool in the market that offers this as a single package. But, you can use a cluster of all the above tools I mentioned for executing this. Else you can always signup with an agency who can executive this for you. But don’t be sad, you can try RedTim to explore something like this, but you might require tiny miny add-ons, but this is the closest and easiest solution you can find in term of Automatic-SEO feature. The answer is simple Automatic-SEO if fast, cost-effective, and suits all industries. Make sure you have all discussed elements in your website for turning cornerstone content into kickstarting automatic SEO.